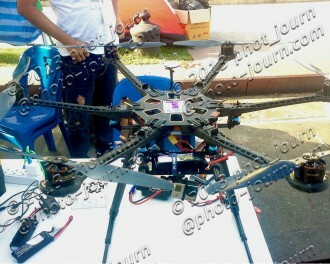 Just as drones, or more accurately unmanned aerial vehicles (UAVs), have grown to play an important role in military, humanitarian relief, or intelligence gathering so to have camera drones quickly grown to become an indispensable tool for news photographers covering dangerous events, or where an overhead view will provide a different perspective from that obtained on the ground. 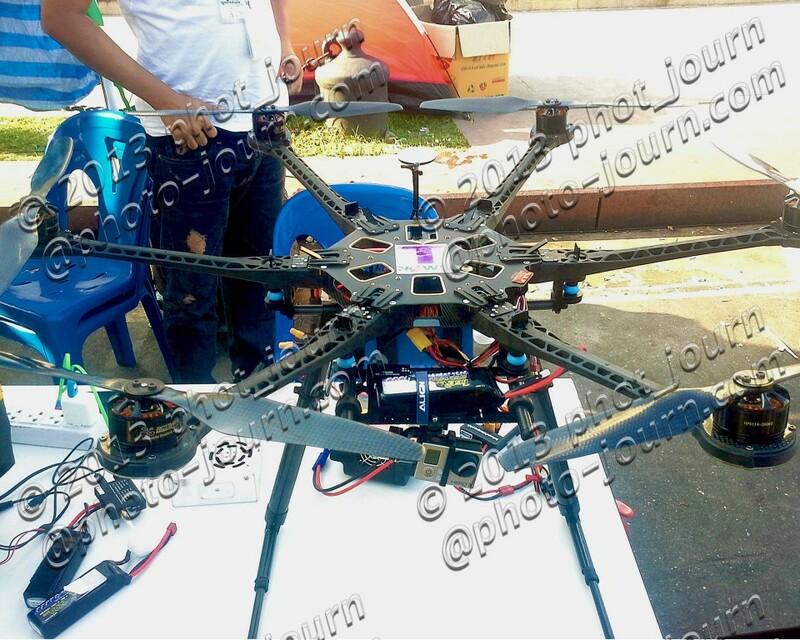 Light weight, easily deployed and relatively affordable the number of camera drones being used by media organisations and agency and freelance photo-journalists around the world has increased exponentially over the last two years. Such has been their rise in popularity that not seeing one used to cover protest rallies, sporting events and conflict situations today is more of a rarity than the reverse. No longer do police or military roadblocks put up around major incidents mean that media organisations are denied the very images and Vision that news hungry consumers demand. Likewise law enforcement or military personal can no longer act with impunity inside cordoned off area with the odds of an almost silent camera drone overhead recording the action below increasingly likely. 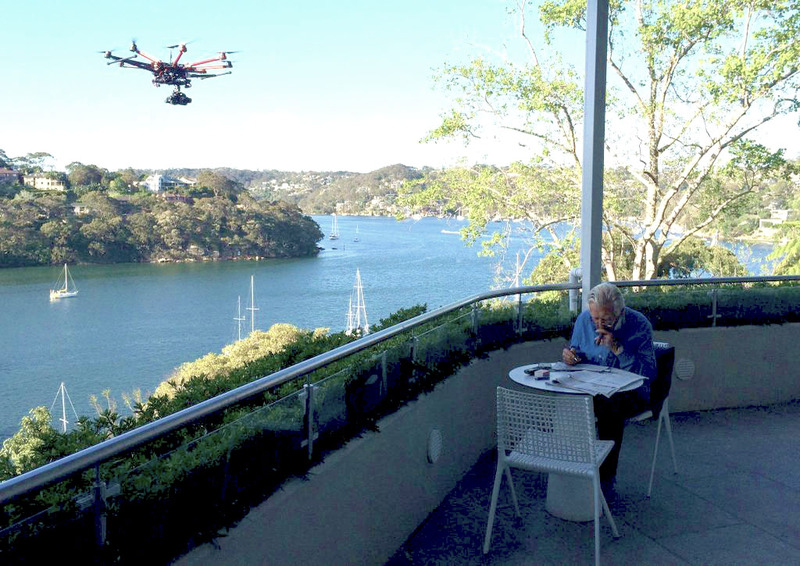 Australia’s the national broadcaster, the Australian Broadcasting Corporation (ABC), is just one example of where camera drones are playing an increasing role in news gathering. To ensure they are used responsibly, as well as skilfully, the ABC has developed a three-day training course for camera operators working on its news and current affairs programs. Likewise in the UK the British Broadcasting Corporation (BBC) is making increasing use of camera drones with a team from its Global Video Unit, part of BBC World Service Language Services, responsible for their operation. Whereas once camera drones required familiarity with complex remote control (RC) units and had an almost Arachnida appearance, in the last year more affordable and streamlined prosumer camera drones have appeared in increasing numbers. When Chinese manufacturer DJI delivered the first fully integrated drone, camera and smartphone application solution capable of being flown and recording photographs or video straight out of the box late last year it brought camera drone capability into the reach of freelance and agency photo-journalists, citizen journalists and small town newspapers. No longer were aerial photographs or videos the exclusive domain of large media organisations with large amounts of cash to throw at chartering helicopters. Since then governments the world over faced with an increasing number of camera drones being launched into the skies have been scurrying to impose restrictions and regulations. 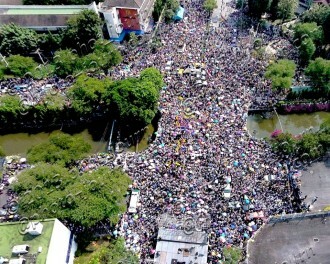 While users of camera drones in developed countries have quickly found themselves subject to a wide range of regulations and requirements, in many areas where photo-journalists work and where camera drones have the potential to significantly improve journalists safety regulations and laws are dependent on the mood of any officials that may be present. With anti-government protests in Bangkok last year taking on an increasingly violent and desperate fervor as the then government of prime minister Yingluck Shinawatra refused to bow to demands to cede power to an unelected ‚Äúpeople‚Äôs committee‚Äù The Establishment Post, for who I am currently the deputy editor and Thailand and GSM editor, decided that in the interests of safety (mine) that we should purchase a camera drone. At the time the logical choice appeared to be the then recently released DJI Phantom 2 Vision quadcopter. Boasting a total out-of-the-box ready-to-fly solution for about US$1,200, the DJI Phantom 2 Vision came with a 14 megapixel, 140 degree field of view f2.8 camera for still images or 1080 HD video capture, a 5200mAh LiPo battery delivering about 20 minutes of flight time, an automatic return-to-home function, and best of all an Android or iOS app. 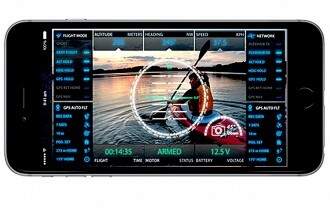 While images or video were stored on a micro SD card inserted into the back of the integrated camera the company claimed use of WiFi enabled full first person view (FPV) to be transmitted back to a handphone (or Apple tablet) attached to simplified RC unit up to 300 meters way enabling out of view flight. It was also claimed that photographs taken while the Phantom 2 Vision was in flight could be sent back to the smartphone or tablet and shared immediately on social media networks. The whole thing sounded awesome and exactly what we were looking for, except for one thing ‚Äì the realities didn‚Äôt live up to the claims or the slick marketing and promotional videos the company flooded YouTube, photography and RC hobbyist forums and websites with. Rather than FPV of up to 300 meters our experience was that FPV started to be lost at distances as short as 50 meters, a problem that remains as demonstrated on a recent outing where a Thai news media crew with the latest Phantom 2 Vision+ coupled with an iPhone 5 were experiencing FPV loss at 30 meters, despite operating in an open area with few other smartphones or forms of interference about. And while transferring photos taken while the Phantom 2 Vision is in the air is technically possible, it requires turning off the WiFi and activating the phone or iPad‚Äôs 3G mobile data network and then transferring the image, all the time leaving you without FPV from your somewhere hovering camera drone. On the unit we purchased we could not get this function to work at all with all attempts to have 3G activated at the same time as WiFi disabling the WiFi link. 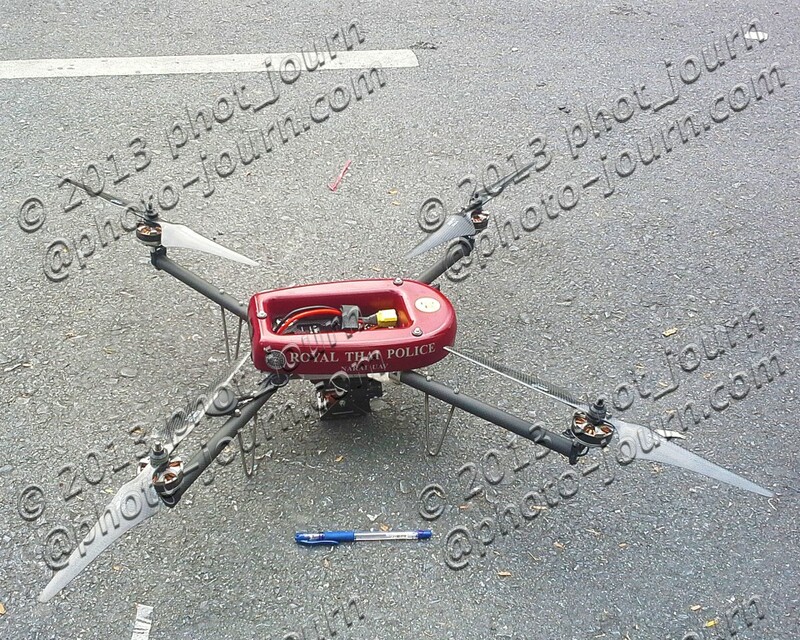 Our DJI Phantom 2 Vision also experienced total control lock-out where it refused to obey any control instructions while hovering 50 meters above a group of protesters raising concerns that the 1.180kg (2.6 lb) device might eventually plummet from the sky causing injury to those below, or was set to become one of the notorious ‚Äúfly-away drones‚Äù DJI has garnered a reputation for. Anyone who follows @photo_journ on Twitter will be more than familiar with the problems we had not only with the Phantom 2 Vision, but the appalling lack of after sales service and support received from DJIs Hong Kong and American offices. In the first eight months of ownership our DJI Phantom 2 Vision spent more time sitting in the service department of the reseller than what it did in our office, while a constant stream of tweets and emails to the vendor were ignored. Likewise pleas for DJIs director of aerial imaging and Phantom Vision promoter Eric Cheng to engage with use to try and work through the problems were also ignored. Photo opportunity after photo opportunity were missed due to reliability issues on the Phantom 2 Vision we had purchased, while promises by the reseller that the defective unit had been returned to Hong Kong for service repeatedly turned out to be fabrications of the reseller’s imagination. The matter finally came to a head when we told DJI and our reseller that we would file legal proceedings within 24 hours if the unit wasn‚Äôt immediately exchanged for a Phantom 2 Vision capable of doing everything claimed in it‚Äôs promotional material, or taken back and our money refunded. We received (most) of our money back the same day. Defective products are one thing, but a vendor who ignores complaints from users, especially professional users, is best ignored when it comes to making a purchasing decision for a product to be used in the course of work. Chinese-style after-sales service, ie., none, is best left to Chinese consumers who one can only presume are used to it. Although our experience with the DJI Phantom 2 Vision was less than stellar, primarily due to the lack of response by the company, the results we obtained before grounding the camera drone were sufficient to show the benefits they can provide and we have been on the lookout for a suitable replacement ever since and we may have found it. While many camera drone developers have focused on smaller and more light-weight camera drones aimed at the consumer market, Canadian start-up company DreamQii has directed its attention to building a more reliable and flexible prosumer camera drone specifically designed for aerial photography and videography. Founded by Klever Friere, who formerly worked as an aerospace engineer for Bombardier Aerospace, the company that makes Learjets, DreamQii launched itself on crowd-funding website Indiegogo at the beginning of October after two years of testing and research with the aim of raising US$100,000. Despite the challenge of asking people to stump up sizeable amounts of cash for a product they won‚Äôt receive for five months the impressive engineering, advanced software and firmware, a pro-active social media campaign and high energy communications with prospective customers quickly saw this target exceeded and in just 46 days advance orders and donations surpassed $700,000. To lower costs and to stretch every dollar as far as possible the bootstrapping company of six kept as many¬† tasks in-house as possible, including the production of PlexiDrone body parts produced using¬† desktop 3-D printers. According to the company using 3-D printers as opposed to having body parts produced by a prototyping company utilising silicon molds has provided immense savings in time and expenses. Marisa Grace, DreamQii‚Äôs operations and finance head said to get ‚Äúa single PlexiDrone produced externally costs about CDN $2,000 (about US$1,775), but we produce that in-house for less than $100. More importantly we can rapidly alter and modify designs and almost immediately produce a modified part. ‚ÄúUsing traditional methods a single iteration would have taken weeks. We go through several iterations of a part in one day and to date have gone through hundreds of cumulative iterations.‚Äù By having the ability to cheaply and quickly produce parts ‚Äúwe do not have to compromise ‚Äãon the amount of time spent perfecting a part to get just the right fit and feel‚Äù, she said. GPS Follow Me‚ GPS Return to Home; GPS waypoint planning and navigation; Swarming capability; Obstacle detection / avoidance up to 10 meters (33 ft); a retractable undercarriage delivering a full 360 degree field of view free of unwanted undercarriage interference. At 1.00kg (2.2 lb) the PlexiDrone weighs the same as a DJI Phantom 2, though the addition of a gimbal and say a GoPro Hero 4 Silver weighing 83 gms (without housing) will see it similar in weight to a Phantom 2 Vision (1.160kg (2.56 lb)) though slightly lighter than the Phantom 2 Vision+ which weighs in at 1.242 kg (2.74 lb). 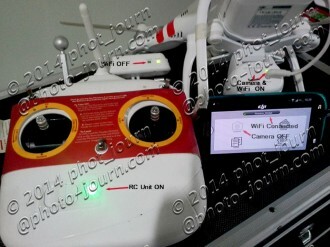 Unlike the DJI products which are flown using a traditional looking RC unit with a smart phone clipped to the unit to provide FPV and camera control over WiFi, the PlexiDrone is controlled using the company‚Äôs custom written Plexi Ground Control Station (PlexiGCS) software running on either an Android or iOS smartphone or tablet, though a standard 2.4GHc RC unit can be used if desired. 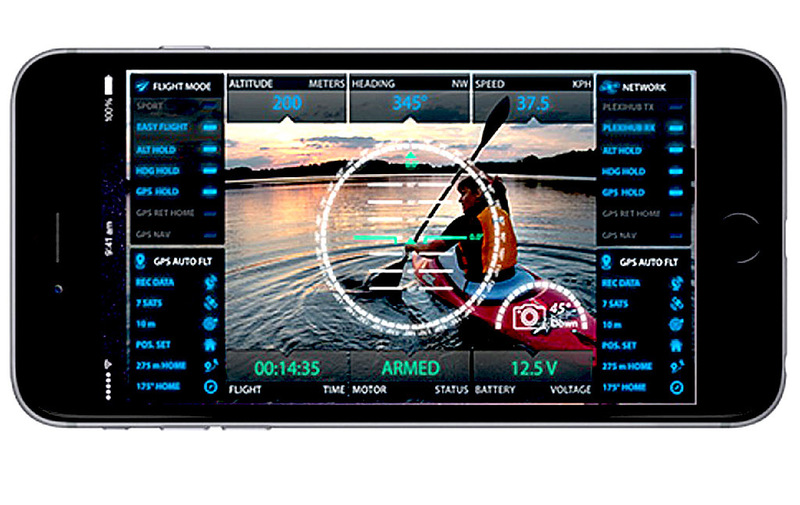 Amongst the data displayed with the PlexiGCS software is: Live telemetry, battery status, GPS coordinates, a 3D map display, sensor data, payload data, FPV (currently with GoPro, Sony ActionCam, BublCam), and a flight planner. 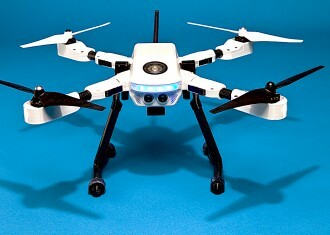 Unlike DJI and several other manufacturers who use WiFi, the DreamQii PlexiDrone uses Bluetooth to transmit FPV from the camera back to the smartphone and to control the PlexiDrone, after first passing through what the company calls a PlexiHub, a Bluetooth device that acts like a router between the app and the aircraft. Although FPV is transmitted using Wi-Fi and is expected to only have a range of about 60 metres (200 ft) a separate PlexiFPV system will boost the range up to 1,000 meters (3,000 ft), the approximate maximum range of the PlexiHub. Ms Grace said Bluetooth was chosen over Wi-Fi because it ‚Äúis much more robust against interference. We also use secured connections and encryption to make it even more reliable‚Äù. According to the company the PlexiGCS software will allow up to 30 PlexiDrones to be controlled from the one device using what the company terms “swarm control” to provide multiple viewing angles of a single focal point, though at the time of writing it had not tested the limits of the PlexiHub capability with only half a dozen or so PlexiDrones having been “swarmed”. Rather than requiring users to memorise various flashing light emitting diode (LED) sequences or colour combinations to determine drone preparedness, the PlexiDrone uses a customisable voice to report on its readiness for flight. While the software and firmware capabilities are fairly impressive it‚Äôs the easy portability and level of compactness delivered by some pretty “snappy engineering” that what will appeal to many purchasers. In addition to not having to carry an RC unit the four PlexiDrone motor arms and undercarriage snap apart from the body allowing a complete PlexiDrone, camera, spare batteries, charger and more to fit inside either a streamlined futuristic hardshell backpack weighing 1.8kg (4 lbs) and measuring 50cm x 30cm x 25cm (19.6 x 11.8 x 9.8 inches), or a padded low-profile soft-sided backpack weighing 0.75kg (1.65 lb) and measuring 40cm x 30cm x 25cm (15.7 x 11.8 x 9.8 inches). 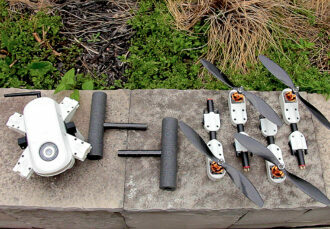 The same “snappy engineering” that allows the PlexiDrone to be disassembled and reassembled without the need for any tools in less than a minute also allows a variety of payloads up to 1,000 grams (2.2lbs) to be carried beneath it, though the greater the payload the less flight-time will be possible. 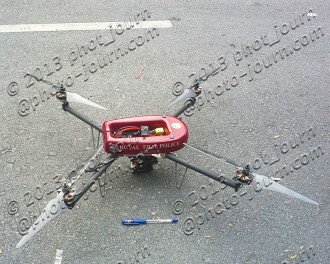 According to the company a compact action camera such as a GoPro or BublCam in light wind should achieve between 20 and 25 minutes of flight time from a single 3S 6250 mAh LiPo battery charge, with Geo Lock, a major pre-flight drain on battery life, said to be generally achievable in about 45 seconds. More importantly the company says the “snappy engineering” will in the future allow the attachment of twin engine arms instead of the current single engine arms, turning the quadcopter into an octocopter to provide extra lift capability, though at the expense of reduced flight time. 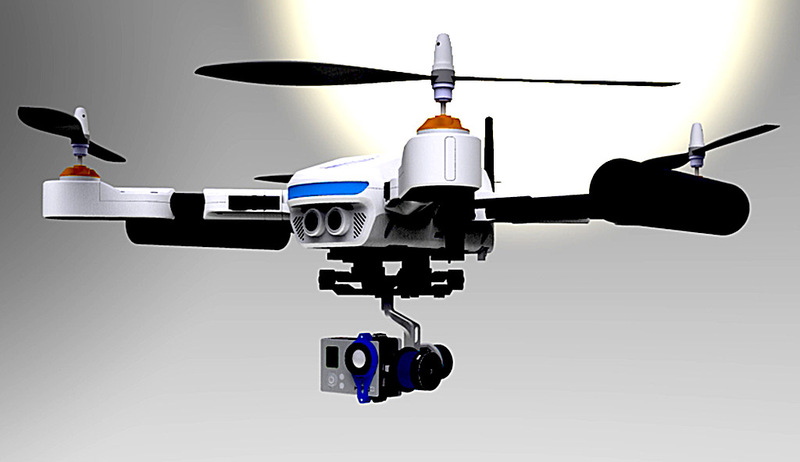 The easy snap together, pull-apart design also means easy replacement of the PlexiDrone’s arms in the event of a hard landing. While the company currently offers a high performance 2D or 3D gimbal capable of carrying a range of cameras and devices, it is also encouraging third party developers to create other options by making details of its modular payload system, SDK and API available. 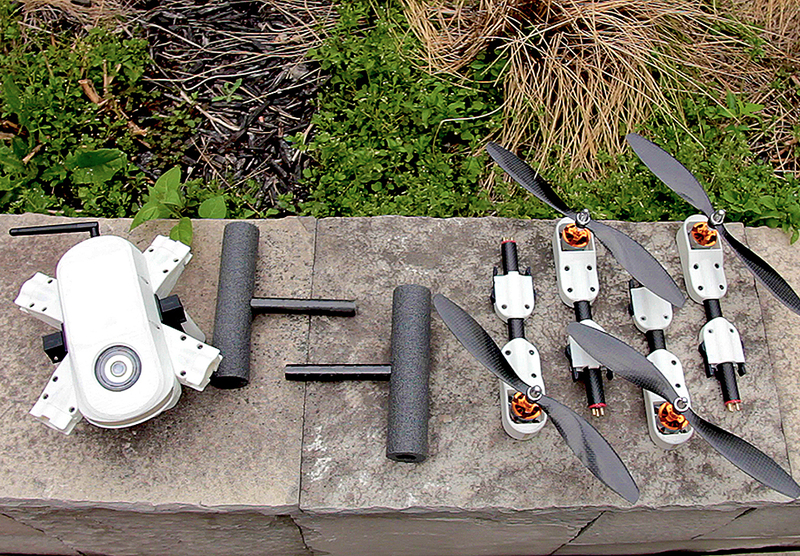 To aid the development of additional payload capabilities the PlexiDrone also contains in-built 3.3v, 5.5v and 12v power ports in addition to a developer’s port (serial port) which one researcher is interested in using to power a metal detecting halo to be used in conjunction with the swarming capabilities to detect unexploded land mines. With a maximum speed of 70 km/hr (43.50 mph) compared to the DJI Phantom 2 range‚Äôs speed of 54kph (33.55 mph), the PlexiDrone is also pretty snappy and able to be moved into and out of areas fairly quickly, something that will be especially beneficial to media users. 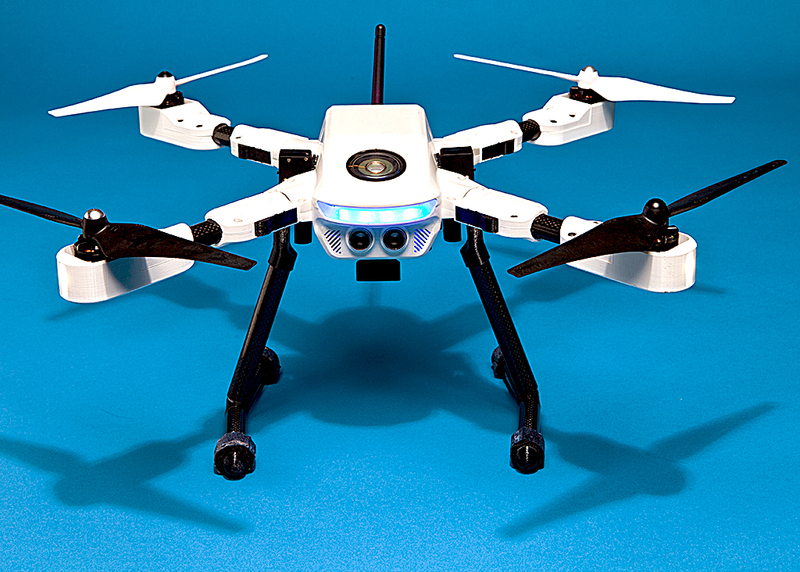 The PlexiDrone doesn’t just feature snappy engineering, its pricing is set to be pretty snappy also. 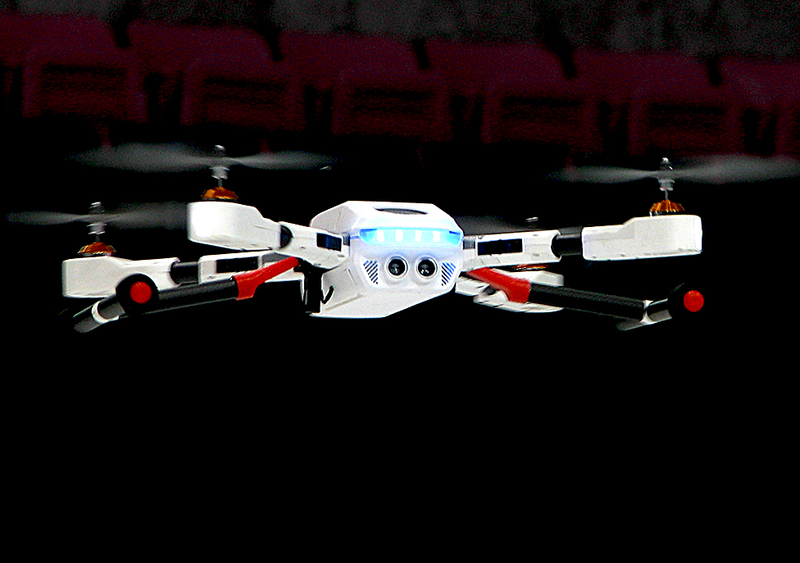 According to the company the retail price of a PlexiDrone is expected to be similar to that of the DJI Phantom 2 Vision+, which includes a built-in 14 megapixel 1080p30 & 720p camera, though the PlexiDrones portability, “snappy engineering”, innovative firmware and software, variable payload configurations, and future expansion potential put the PlexiDrone into a segment of the prosumer market well above its Chinese rival. Of equal importance to potential purchasers globally the company vows to deliver first-class after-sales service to customer and resellers world-wide. According to Ms Grace, DreamQii will be working with a customer management team to create a customer happiness team dedicated to helping users with their questions and addressing problems, while retailers selling PlexiDrone will have customer service policies put in place. For photo-journalists and videographers, or people who need to carry their camera drone to where they need to use it, the PlexiDrone promises an easily transportable and quickly deployable and retrievable camera drone capable of adding a fresh perspective to events, at the same time providing improved safety for photo-journalists working in conflict situations. Ed: Until November 30, 2014 DreamQii is offering substantial savings off the retail price of the PlexiDrone and selected accessories. 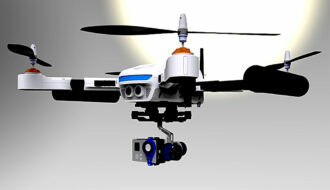 Visit the DreamQii PlexiDrone campaign page on Indiegogo for more details. Purchases made using PayPal will also receive a pair of the company‚Äôs branded aviator sun glasses free.